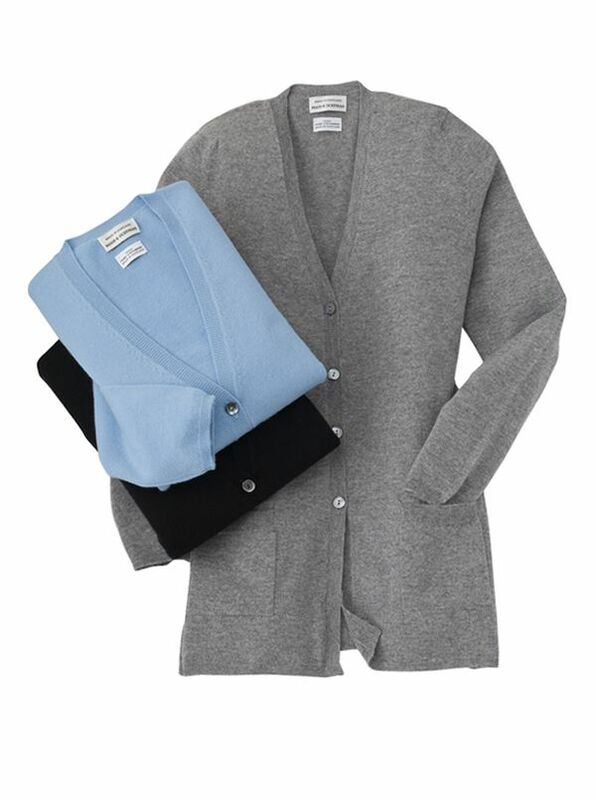 Long Cashmere Cardigan of single ply Scottish Cashmere are practical luxuries. Clean classic styling in a slightly longer model. Knitted in Scotland with ribbed placket and cuffs. Scottish Cashmere is the world standard for supreme softness remarkable resilience and complete comfort.